Lorin Lee Cary PhD spends the majority of the year by the idyllic sea and pines of the seaside arts colony Cambria, nestled on California’s central coast. Trained and published as an historian specializing in US labor and social history, Lorin’s longstanding love of historical and telling detail suffuses all of his work – whether as a novelist, crafter of wry short stories or keen observer of local color, seen in his lush photos. Shelagh: Hi Lorin, please tell everyone a bit about yourself. Lorin: After a career in university teaching U.S. labor and social history, I turned to fiction. The tipping point was a short stint as a researcher for a company developing a computer game based on Dante’s Inferno. I was hired to provide “historical context material,” although this was rather far from the American colonial and US materials with which I’d worked. The head of the outfit liked the way I wrote and suggested I prepare the first draft; I did and found the freedom of creating my own cause and effect relationships liberating. Lorin: I’d written various articles and essays and co-authored two historical books, and never before considered writing fiction. Now I did and when we moved to Cambria, CA I found there an active writing colony with a critique group that long active with numerous published authors. This was in 1994 and the only goal in fiction I had at the time was to have fun, and to get my stories published. I learned fiction in the Cambria group. Lorin: THE CUSTER CONSPIRACY features a diary written by someone who served with General George Armstrong Custer between roughly 1861 and 1876, from the Civil War to Custer’s Last Stand. This diary is found on the battlefield by Indians and kept secret for decades. When it surfaces and ends up in the hands of Walter Reeves, an academic who wants to publish it, two groups swing into action. Native American activists seek to hide the fact that some of their ancestors collaborated with Custer. (Telling you how would spoil the story, and the attached humor.) A group of Custer worshiping militia members, meanwhile, understand that the diary undercuts their hero’s image. Ultimately the two group collide with Walter, the academic, near the site of Custer’s demise. Lorin: The hook for the book is the diary, which is in itself a character. It appears in excerpts scattered throughout the text as Walter tries to determine it’s authenticity. Lorin: I like to develop characters by both their dialogue and their actions, usually presenting them in close third person. In this novel there are several point-of-view characters, and that permits me to round out the developing conflict from several sides. Setting is there as each character sees it or experiences it, in general. Shelagh: Who is the most likable/unusual character? Lorin: Most of the folks who’ve read THE CUSTER CONSPIRACY consider Walter Reeves the most likable character. He’s the academic, somewhat quirky in his choice of research projects (the politics of Michael Lorinson’s gender and the election of 2000, eg), not totally a stereotypical absent-minded sort but sometimes headed in that direction. There are several other unusual characters. An undergraduate who has difficulty choosing a major; a militia leader with deep set eyes who dresses in red, white and blue outfits; a militia man who misuses words (chloroform for chlorophyll); a tiny department chairman whose feet do not touch the floor when he is sitting down. Lorin: The story seemed to unroll itself as time progressed, most days. When I had a good sense of where I was going, it helped to stop knowing where I’d start the next day. If I wasn’t sure, I’d read over what I’d written and then plunge on. Lorin: I’ve yet to see a full blown review (although I’m told reviewers have requested and received the book), but the blurbs on my book have been nice. I especially like this one : “Prepare to laugh. 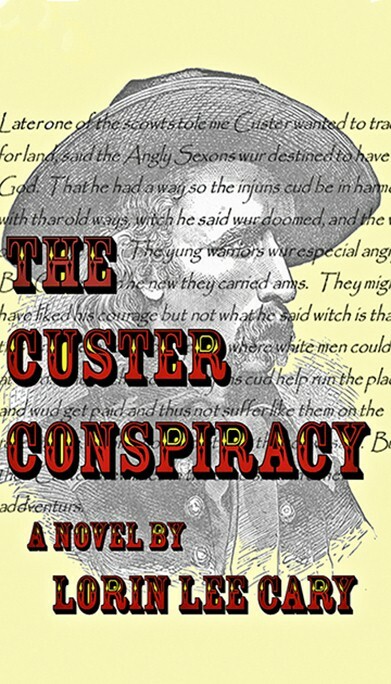 The Custer Conspiracy takes the reader on a wild ride, mixing the true history of George Armstrong Custer’s career with ironic, tongue-in-cheek fiction. 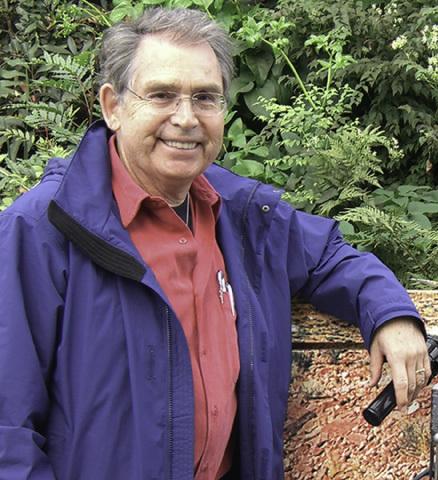 Cary, a former professor of history, displays his grasp of historical research, his story-telling skills—and his dry and quirky sense of humor. Inventive, intriguing, and very funny.” It’s from Catherine Ryan Hyde, author of 14 novels including, Pay It Forward Becoming Chloe, Love in the Present Tense, Chasing Windmills, and When I Found You. Shelagh: Thank you for joining us today, Lorin. Lorin: Thanks so much, Shelagh, for the opportunity to share all this with you and the group.